Just like the white V neck alternative kit of 1967, this tangerine short sleeved V neck shirt was brought in as an alternative to the new long sleeved tangerine kit that was introduced in 1960. 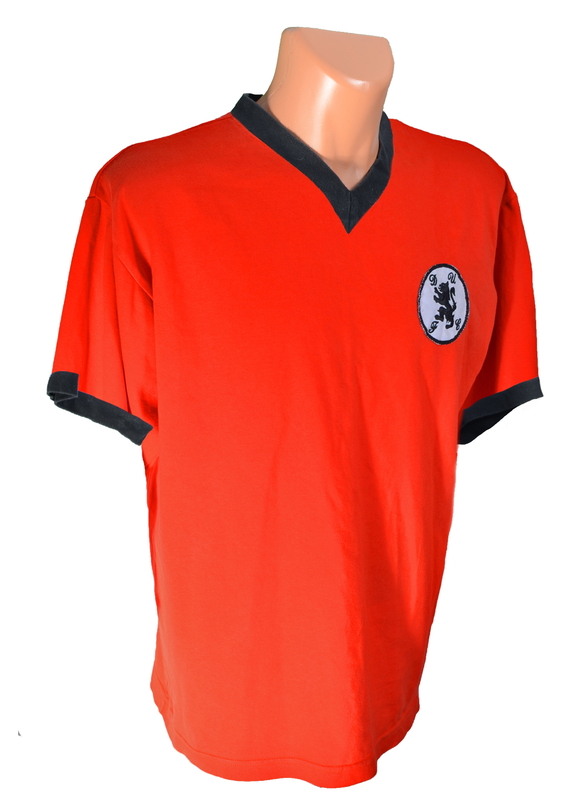 Worn in warmer weather, the shirt sleeved tangerine shirt had a black V neck collar and matching cuffs, and included the new circular lion rampant badge from the Home kit. The shorts were the same as the Home kit,tangerine with a think black stripe down each side and tangerine socks with black trim. The kit was first used in the Clubs' tour of Mexico in May 1970, and was worn on the odd occasion during the 1970/71 season before making a further appearance in the July 1971 visit to South Korea.